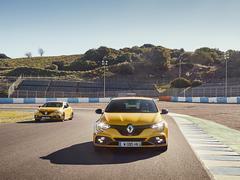 The fast Megane is back. With a Cup chassis and manual gearbox. Thank goodness. 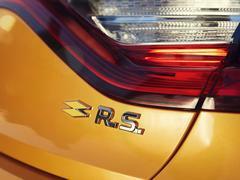 It has felt an extraordinarily long time coming, the latest Renault Megane R.S. 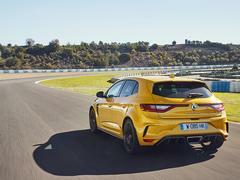 Not just because its predecessor, last seen in Cup-S format, shuffled off about an aeon ago or because its fourth generation stablemates will have been without a proper range-topper for two years by the time the model goes on sale - but because there has been such a conspicuous Megane-shaped hole in a segment which previously trailed Dieppe's frontrunner like a pale shadow. In its absence, others have surged to front-drive prominence: the Seat Leon Cupra is more powerful than it's ever been, the Hyundai i30N is substantially better than anyone dared hope it might be, the Golf GTI is only very slightly new but even more fabulously well-rounded than before and the latest Honda Civic Type R, while looking like a bad H.R. Giger dream, is almost too good for words. 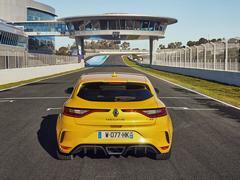 If it weren't enough to land in that viper pit, the new car also has to contend with the idea that Renault Sport could probably do with a hit. 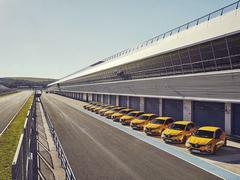 True, the Alpine A110 is brilliant - but all the credit for that has been carefully attributed to the new brand, not Dieppe. 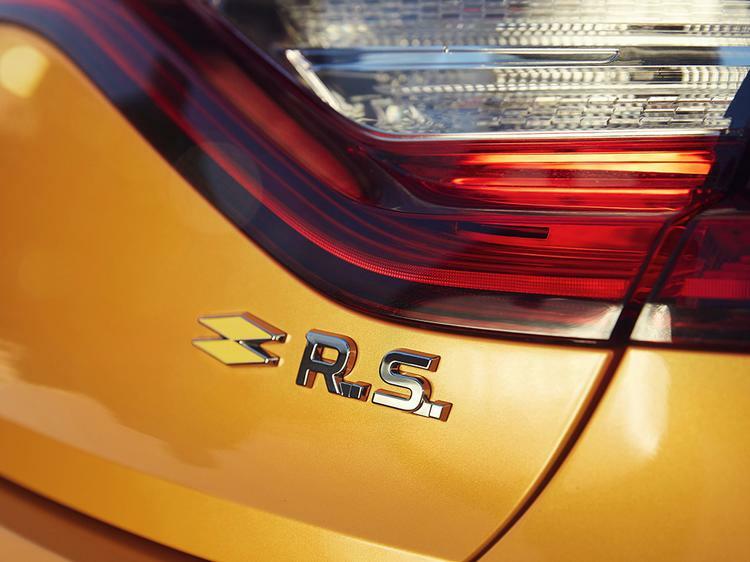 Until now its recent reputation has rested on the fourth generation Clio, a car which Renault opted to make without the manual gearbox that might conceivably have made it great. Instead it got a six-speed EDC transmission that judiciously sucked any trace of fun from a downsized engine that was already in arguably short supply of the stuff. Worse still, it was launched as the third generation Megane hit its dazzling peak; the 275hp Trophy-R simultaneously breaking both the front-drive Nurburgring lap record and the heart of everyone who ever drove it. 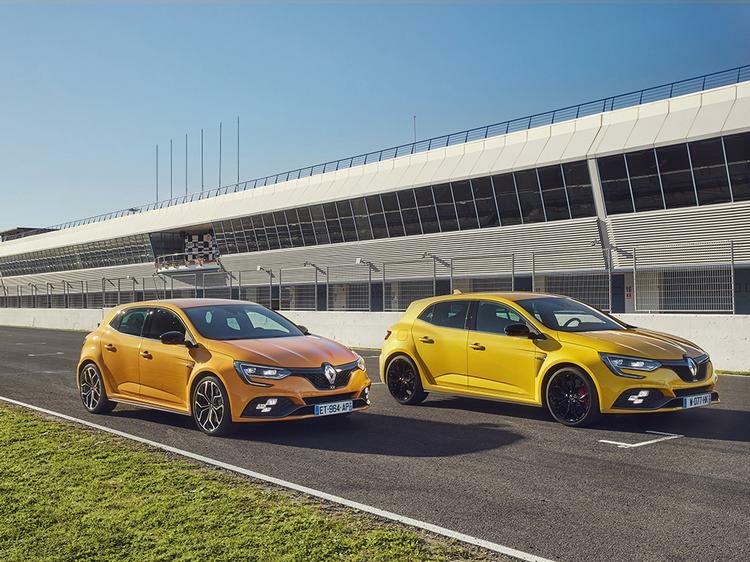 Consequently, the Megane ended its career as the benchmark for virtually everything that has come since. Including, of course, its as yet unpriced successor. 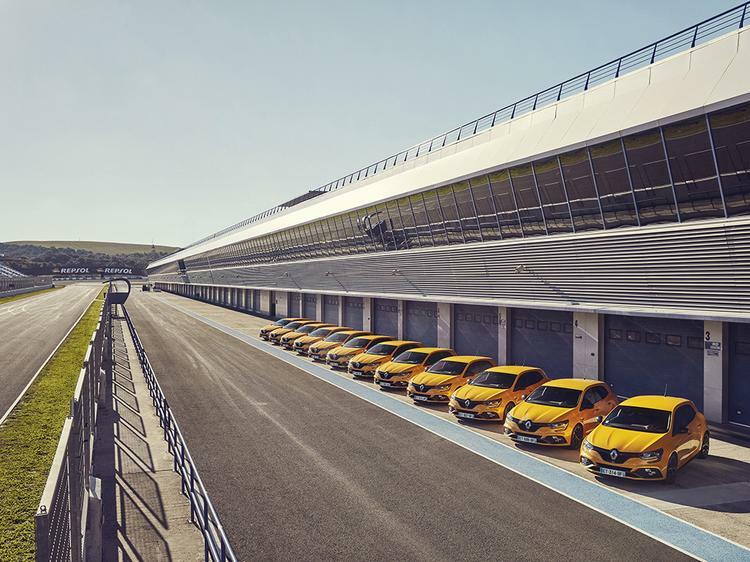 Nevertheless, while merrily conceding that the previous version was exceptional in several important ways, Renault Sport is quite open about its intentions with the new model: there is not really one, but two, the Sport and the Cup, and they are meant for different purposes and people. 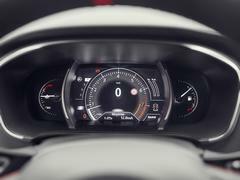 That was broadly true before, of course, but now Dieppe is adamant about the size of the gap - and to cement it they insisted we drive the EDC-equipped, softer model on the road first. The method in this madness was to show that the Sport chassis does one thing exceptionally well: namely ride and handle in a way which allows you to drive it very fast indeed without ever making a martyr of your coccyx. A brace of trick features are deployed to this end: specifically all-round hydraulic bump stops (essentially a shock absorber inside the primary damper), and an all-new four-wheel steering system. 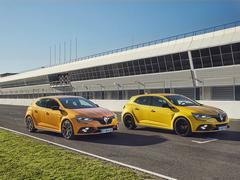 Renault Sport has dabbled in both technologies for decades, and apparently insisted on the fourth generation Megane making space for the latter way back in 2010 on the back of lessons it had learnt on the barely-remembered Laguna GT. 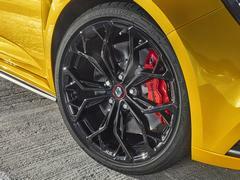 The reasoning was two-fold: with four-wheel steering, the engineers felt they could improve agility at low speeds while enhancing the car's stability at very high speeds. 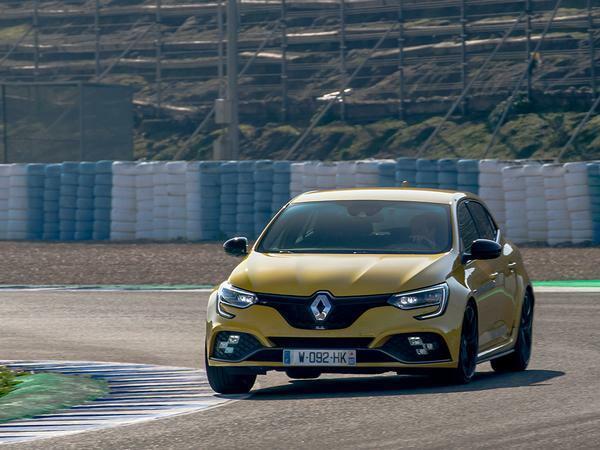 Similarly, the hydraulic bump stops - pioneered on the current Clio R.S - would deliver superior wheel control without compromising on road-hugging rebound. The combination, no doubt about it, has delivered handsomely. On a plainly wider track front and back, the Sport model floats almost indifferently over broken roads while eerily maintaining the kind of poise that makes fast cornering unthreatening. As advertised, it carries huge speed without effort. It pivots engagingly around its centre. It properly flows. But it does none of these laudable things without several fatal caveats. The first, with a fatefulness approaching inevitability, is the powertrain. 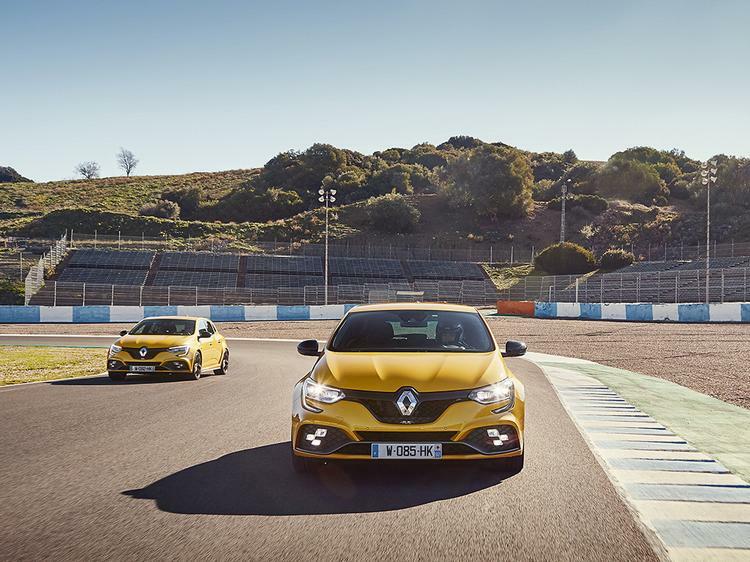 The previous Megane boasted the now-dead 2.0-litre F4Rt unit, a turbocharged four-pot as hard and as scrupulously brilliant as the model surrounding it. 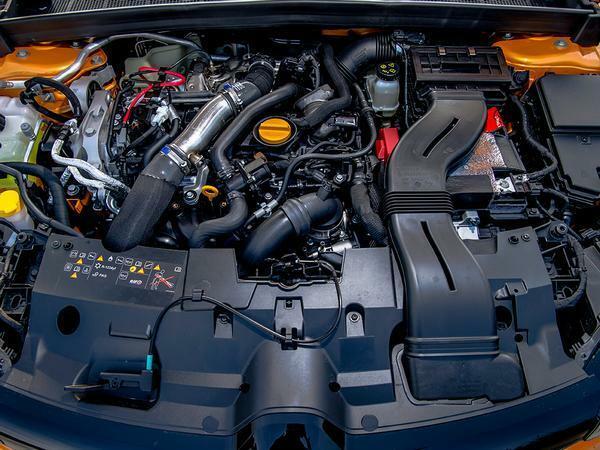 Its replacement gets the same all-new 1.8-litre lump used to great effect in the A110, only tweaked to output 280hp. But it does not get the same seven-speed dual-clutch 'box and, additionally, it has (at best) an extra 327kg to heave about the place. 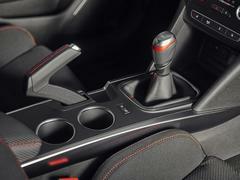 Throw in much the same spiritless gear changes that afflicted the Clio - the paddles still wilt when depressed - together with two pedals not inclined to help you modulate the business of going and stopping with any subtlety, and the Sport version falls at the hurdle marked "must go like stabbed rat". 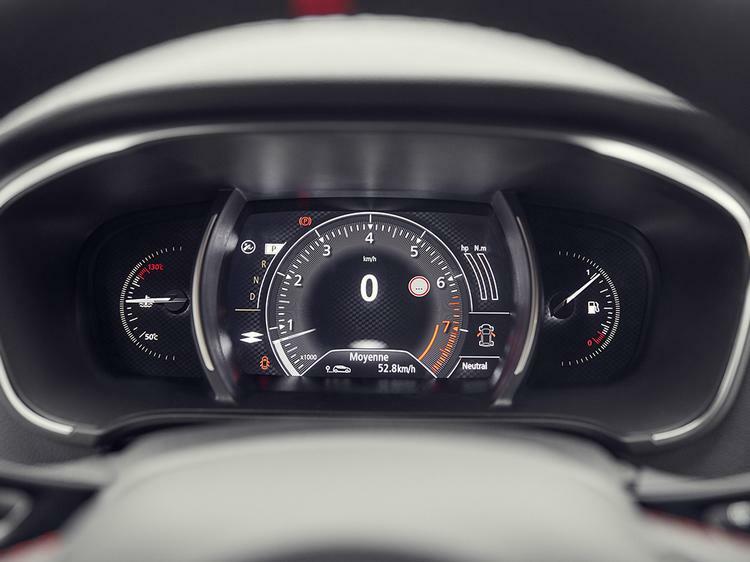 Moreover, the meticulousness of the last Megane's electric steering, which only had the 981-gen Porsche Cayman to call a peer, has departed. 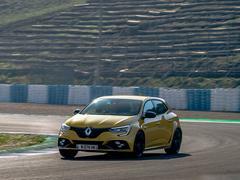 Its replacement is not bad by any means - in fact its positivity chimes rather well with the chassis's quick-wittedness - but it's not as feelsome as two years ago. And that's a demerit, too. The Cup version though, driven exclusively on the track and with the plainly essential six-speed manual aboard, papers enthusiastically over these shortcomings. 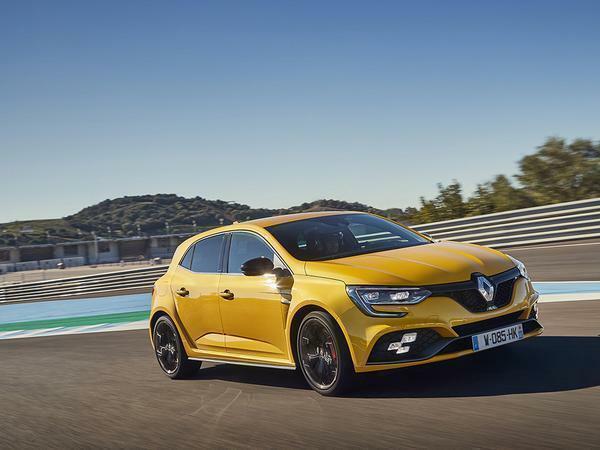 No, the third pedal and a modestly lower kerbweight do not suddenly make the Megane feel premier league quick - the 1.8-litre motor picks up okay and revs keenly enough, but it still has none of the final throe drama of the previous unit even when unshackled from the EDC. Factor in the car's larger dimensions, and it never feels quite as lean as its three-door forerunner. There is though sufficient power to indulge the stiffened chassis - which is apparently all Dieppe needs to show off its long-standing talent for tuning hatchbacks. 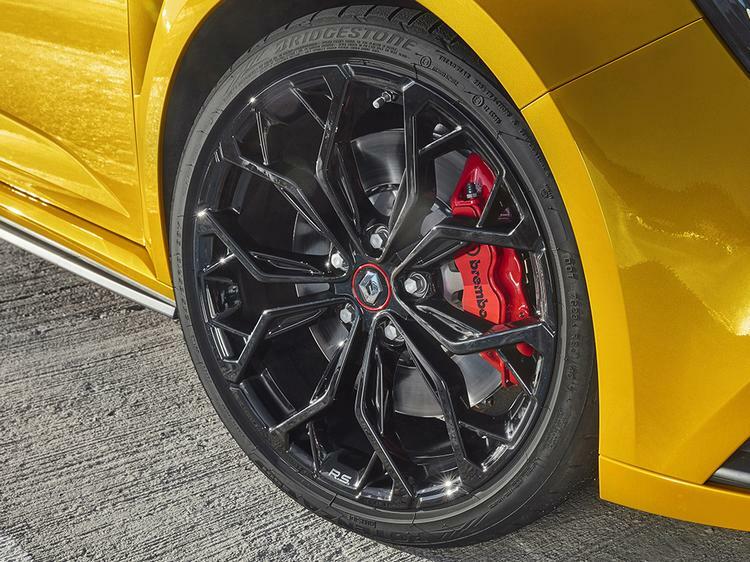 Mechanically speaking, alongside the torque steer-suppressing PerfoHub axis, the Cup version benefits from firmer springs and dampers, bigger bump stops and a predictably beefier attitude toward anti-roll bars. It also includes the fitment of a Torsen limited-slip differential (a notable upgrade on the old GKN unit in terms of lock-up values). All of this is readily apparent in the Cup's fizzier attitude, but the ramped-up change of direction and superior bite at turn are just a starting point. 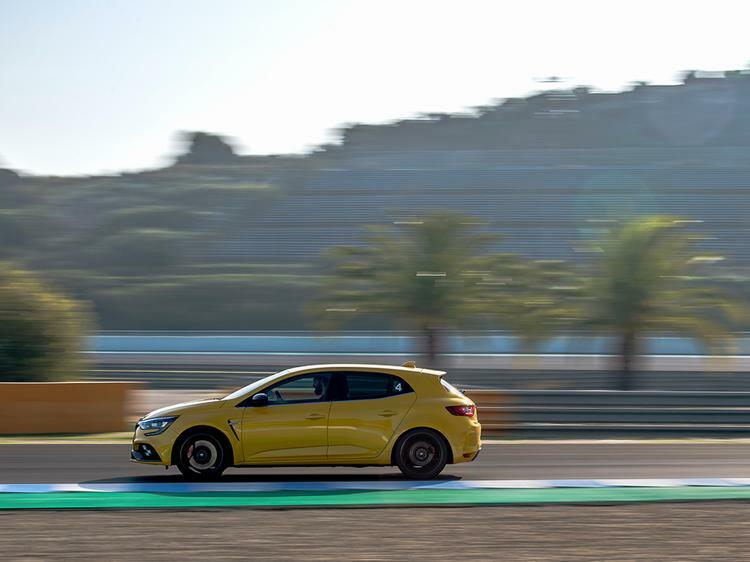 The maxim here - as ever - is adjustability, and with a slightly damp circuit at Jerez further greasing the fun, the Cup model has it in armfuls. Choose to rely on the talkative diff and a palpable sense of front-to-back balance, and it'll go route one through fast corners in nerveless style - yet never to the extent that might preclude using the throttle to tighten your line. 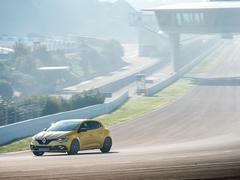 At times its body control and overall precision smack of the Clio R.S 220 Trophy, but the nuance dialled into the limit handling is on another level - to the extent where mischievously lifting off mid corner (in the ESP-off Race mode) finds a degree of oversteer that would probably be considered outlandish in Wolfsburg or Martorell. Best of all, everything seems transparently at hand. 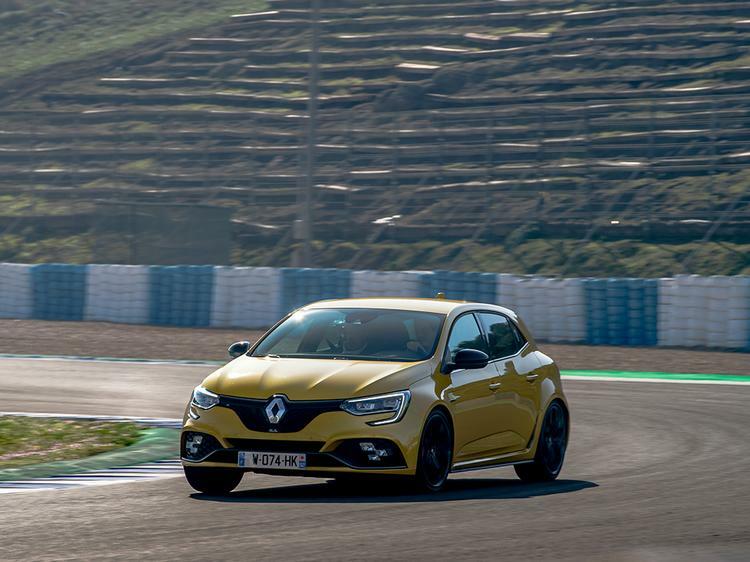 Grip, followed by the pleasingly progressive lack of it is deftly communicated, meaning there's little compunction involved in approaching the Megane's threshold. Much of this accessibility of course is bound up in the four-wheel steering and its appreciation of what you're trying to achieve in any given moment. 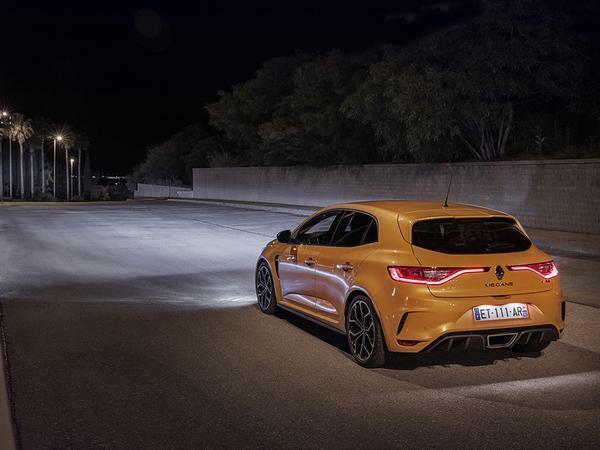 As a result, there's rarely ever any snap or nervousness to the handling - or the sensation that something is overtly afoot at the back axle - by and large it just does the things that you'd want a very responsive and rewarding front-drive hatchback to do. 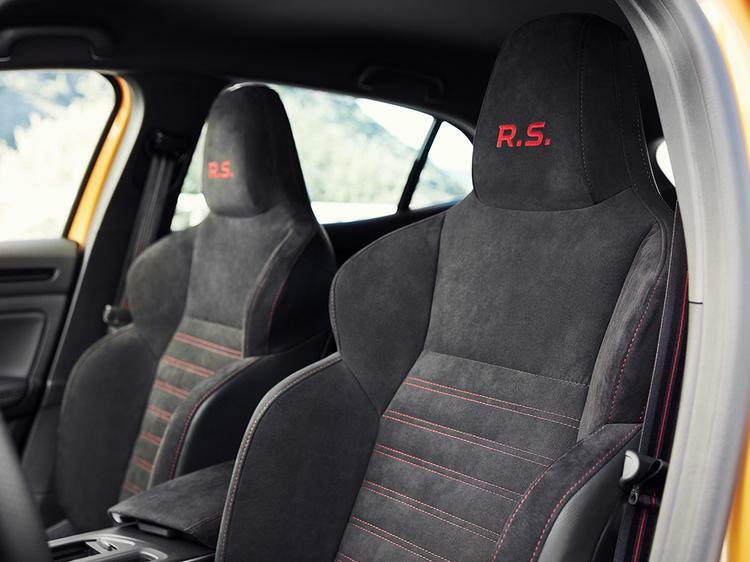 So prominent is this virtue that even without experiencing the Cup on the road, it's plain enough that the model makes the grade as a driver's car, and right off the bat that's to be celebrated - even if it doesn't automatically make it the superior of the Honda Civic Type R or even the higher-powered variant of the current Golf GTI. Both rivals are nicer inside (there's no saving the R.S from the hand-me-down architecture here) and one is almost certain to prove quicker. Neither though offers the Megane's impish sense of fun or its approachability on a track. It's also worth remembering that when its exalted predecessor started life back in 2012, it too was merely very good - it took the best part of a life cycle for anyone to start pondering the 'greatest of all time' tag. 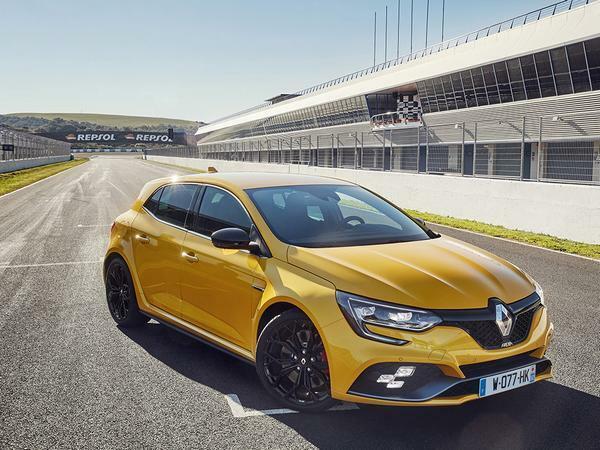 With the more powerful Trophy yet to come - and a more extreme R version likely to follow that - there's plenty of time yet for the latest Megane to equal its predecessor's stellar reputation. And seal Dieppe's. SPECIFICATION - RENAULT MEGANE R.S. The Jury’s out, on both the car and Cackett’s writing style. It looks good, drives well and has a predictable review of the EDC box. Is it a surprise that the downsized engine has a bit less fizz than before? Does anyone know the weight difference to the previous model R.S.? What a terribly written article. It's as if the author doesn't want to explain what the car is like at all which seems counter productive. Anyway, the car looks great. Can we have a proper review please? Or shoyld we just see if EVO mag have written something more legible? Sad to hear of the capacity drop, and what appears to be a lack of power/punch. Would have thought in this day and age they would have gone all out and found space for a small hybrid assistance to make up for the drop in capacity.